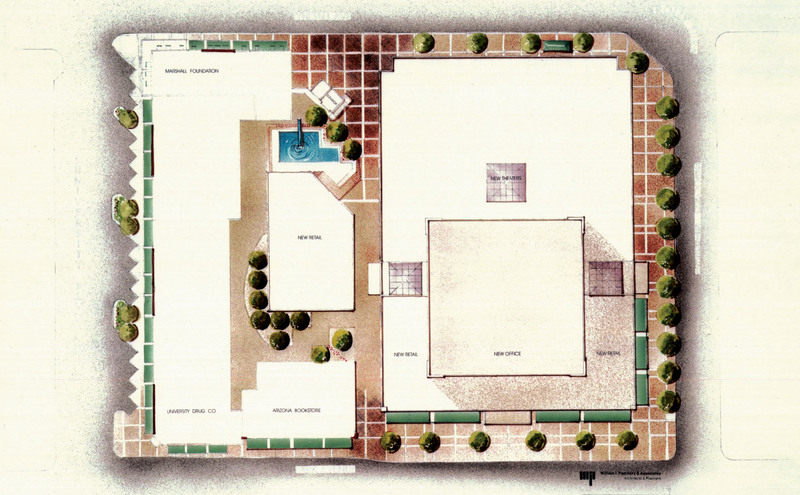 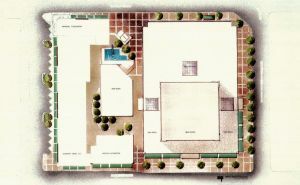 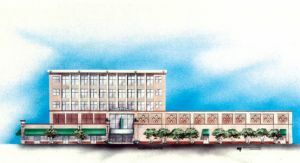 Podolsky completed the master plan for a city block adjacent to the main gate of The University of Arizona for a mixed use of retail and office spaces. The retail component consisted of a 7-screen theater of approximately 33,000 SF, retail shops totaling approximately 34,000 SF, and an office component of approximately 47,000 SF. 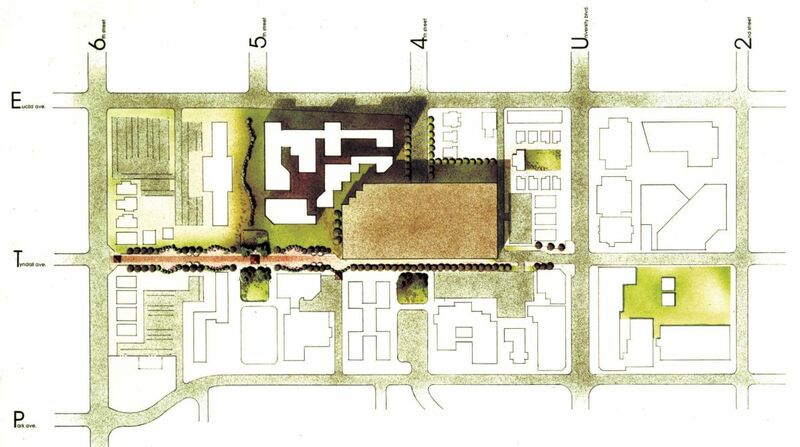 An architectural style and a material palette was selected reflecting the materials and style predominant at this edge of The University of Arizona campus.